If you’re going away on holiday anywhere this year, then this is the post for you! 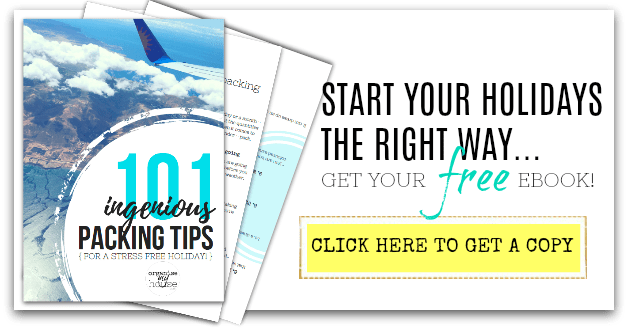 I wanted to put together a list of all the key TO DO’s that you would need to do before you went away – a “pre holiday checklist” – giving you everything you need to consider so that you can go on holiday safe in the knowledge that everything has been sorted…. After giving this a LOT of thought – I’ve come up with 35 different things to consider. Seems a lot doesn’t it? – but it includes things from 2 months away from your holidays all the way up to the day you leave, so you don’t have to do it all in one go! WHAT IS A PRE HOLIDAY CHECKLIST? Whether you are going for a few days, or a few weeks, having a list of everything that you need to do before you go can stop you forgetting things and make going away less stressful. I’ve listed everything below, in timeline order, so feel free to copy this list for your own holiday, but if you prefer to have everything done for you to save time – then this entire checklist is available within my Holiday and Outings Planner on ETSY – along with everything you could possibly need to plan your holiday – you can take a look HERE. So – let’s get on with it, shall we! #3 – Write down your holiday details – Having your itinerary and all details of where you are staying, travel etc… will be really beneficial when away – do it with plenty of time to check things and book other things if needed. #4 – Consider transport. You may need a book a taxi to the airport (or ask a friend), you may have to book car parking, or if you are driving you will want to give your car a once-over to ensure it’s ready to travel. Ensure you can get to where you’re going!. #5 – Sort out sitters. If you have pets or children that are staying behind, then you need to work out where they will be staying while you are away. Arrange for a pet sitter, book kennels, ask a friend or family member to help out etc… You should also also look at a house sitter or a friend to stop by while you are away for added security. #7 – Medication?. If you are on any medication, then check you not only have enough for while you are away, but also for a few days when you’re back to give you time to reorder (add a reminder to your diary for when you get back). EXTRA TIP – when you’re away it’s easy to get out of the usual habits that may remind you to take medication – so you could add a reminder alarm to your phone if you’re taking that, and/or use a pill box** so that you can see what days you need to take what. #9 – Check bags – Any suitcases or bags that you intend to use for your holidays should be checked now so that you can fix any damage etc… before it’s too close to going away. Check locks as well for security. #10 – Create a TO DO list – This list will contain most of your TO DO’s, but of course there will be other one-off items specific to your needs that you may want to add – so write down anything in one place so you get it all done (and schedule the TO DO’s if possible so it’s not all left to the last minute). #11 – Create a shopping list for items you need to get for your holiday and start to shop for everything – you could simply start adding a few items to your usual shopping for the next few weeks so that it’s not too much in one go – OR get it all done together. #12 – Cancel any one off deliveries you may be expecting. Or re-route to a friends address – you don’t want a large package sitting on your front porch for days/weeks. #14 – Tell neighbours you’re going away. If you get on with your neighbours then let them know you are away as they can keep a general eye on your home for you. #16 – Ensure all bills are up to date – better be up to date than come back to no hot water! #17 – Inform your mobile phone company and get roaming set up so you can use your phone abroad. #18 – Inform your bank – Let your bank know you are away so that they don’t stop your card when you use it abroad (add the banks telephone number to your mobile phone in case you need to get in touch while away). #19 – Check for any Birthdays and Occasions coming up while you’re away – sending these things now will stop you forgetting or missing it completely. TIP – If you are going to be away for a few weeks and don’t want to be that early with delivery of cards, then I would recommend a service such as Moonpig, where you can schedule cards to be delivered on the right day. I use this a lot and love how easy it is – and the fact that you can personalise the cards is a lovely extra! #20 – Check for any Birthdays and Occasions that will happen the week you get back – Buy cards and presents now so you don’t have to panic buy when you get back, and they will be ready to post when you arrive home. So – we’re now at the business end of things – only a few days left to go, and things are probably getting a little more hectic in your home. But – stay on track with this checklist and you’ll find everything SO much easier! – Let’s keep going….